In part one of my critique of the book 1491: New Revelations of the Americas Before Columbus by Charles C. Mann, I noted how Mann’s writing was influenced by a political agenda common in Native Studies — one that denies the developmental gap that existed between aboriginal and European societies before contact. More advocate than scientist, Mann is a purveyor of what’s known as “pseudoarchaeology,” a practice where evidence is selected to support a preconceived conclusion. « When will Aboriginal issues get on the radar of Winnipeg mayoral race? 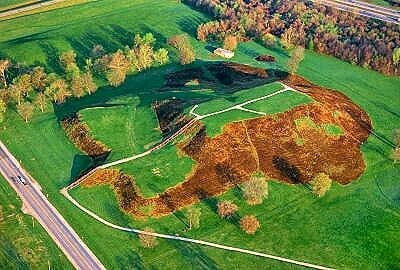 As a professional archaeologist, and a person who has visited the site of Cahokia multiple times, read several books and articles about it, and had conversations with other archaeologists while they were in the pits there, unearthing the soil stains and artifacts we have used to interpret that site, I can not begin to tell you how frustrating it is to read nit-picking non-contextual quotes from decades old books as you try to imply that the people of Cahokia were not doing complex things. Have you tried to create a pot shaped like a frog? Can you carve intricate objects out of marine shell? Can you set up a trade network that expands over hundreds of miles? Can you organize a community to build a mound 100 feet tall? Trying to take quotes out of context, without discussing the issue with actual archaeologists, as you have is, in fact, what I would call pseudoarchaeology. And at this point, you have moved the conversation far away from it’s original point. That being a discussion of your book about policy in Canada. At the risk of repeating myself, let me once again point out that Widdowson has invoked, in the name of ‘science’, a mistaken notion of what evolution is, either in a biological or in a social context. Megan raises an interesting issue. The ostensible main point of Widdowson and Howard’s book concerns not the past, but the present state of Indigenous politics in Canada. One would expect that, as a political scientist, she would have much more expertise on questions about politics in Canada than she would about the culture of pre-colonial Indigenous societies. So why is she expending so much energy disputing the archaeology? And, specifically, the sort of archaeology that refutes Eurocentric notions of Indigenous peoples as simply less evolved than their European counterparts? I notice that this debate is becoming exclusive by the distint lack of twitter and general comment could this be Powells increasingly polemic and attacking tone,what a shame . Call me dense as I’m sure you will but when I try to visualise a linear culteral evolution I find it impossible to conceive I wonder how many other people feel the same however when things occur in history a society adapts down an line of action that might not have happened before, I would like to explain . The black death in Europe killed 25 million people , directly responsible for the end of the feudal system and heralding capitalism in terms of movable wealth ,skills and service.The invention of the steam engine from early Greek to the final James watt version started the industrial revolution facilitating a work force and the protection of the latter in large cities by the work of Louis Pasteur, Joseph Lister many more besides . This may not your history or native history but facts of single events that created a course of action .The invasion in to England by the Romans and later the Normans shattered Celtic life sending them to the peripheries of this Island crushing the celtic language and changed our way of living with new technology creating a long period of war.It’s widely agreed that before the arrival of the Romans here, Britain’s were in a pretty poor way in terms of infrastructure which was improved further by the Normans . No, not dense at all. I’m sorry if I’ve let my tone get adversarial. Although, to be fair, that’s been happening on both sides of this discussion.You’re right that we can identify linear threads of cause and effect in history. The question is whether all of those chains combine to make one big rope, a grand sequence from past to future. The non-teleological view of evolution show how those threads wind and twist off in all directions, more like a great huge tangled ball.Eurocentric thought makes the mistake of treating one of those threads as the measure of all the others. Thanks now I know your going to think me dense when I say, ‘I understand what you mean, now! ‘. Understanding how that eurocentric value came to be by our history is equally important . I doubt many people in Canada care most just want to believe we are all a bunch of power hungry twats here in England thats not true . I’m glad I could explain myself! Thanks. I think most people in Canada have a positive view of England. And Eurocentrism isn’t unique to Europe; it has been the dominant mode of thought in Canada as well. “you have moved the conversation far away from it’s original point. That being a discussion of your book about policy in Canada.”I echo this encouragement to the debaters to help us better and more directly understand the relevance of these discussions to Indigenous peoples in 2010, even as I acknowledge my role as Editor-in-Chief in enabling us to perhaps stray a tad off-topic, or the original topic, anyway. Um, maybe to point out how preserving old cultures is a bad idea, as pointed out in the title of her book? The whole message I get when reading her words is her aim is to show modern society is the best and Indigenous people need to fit in for their own good, that’s the basic argument. So part of arguing that is showing how the old ways were not as good as the modern ways of industrial society. Hence the argument turns into fact debating about this Indigenous culture @ ___ time in history and ____ practices effectiveness at healing or whatever. The point being argued by Widdowson and Howard is basically assimilation-plus. Before I offer my thoughts on this post and your first could you please clarify a few things for me. That is, could you please give a short and clear summary of the main points that your are trying to articulate/raise in your book ,’Disrobing the Aboriginal Industry’. Therefore rather than me second-guessing your motivation for writing Disrobing,or possibly misinterpreting your argument/thesis. It would be very helpful ,not only for me but also for all those that read ‘mediaindigena’ and or those who want to participate in this interesting conversation. I am sincerely interested in understanding your point of view, but again as of now I am not sure if I am understanding your point of view correctly.